…and what are you thinking? Well, I have zucchini and yellow squash in my mind! Saw another great recipe in Bon Appetit that I had to make recently…Shaved Zucchini Salad with Macadamia Nuts. Whisk lemon zest, lemon juice, oil, mustard, honey, and soy sauce in a large bowl; season with salt and pepper. 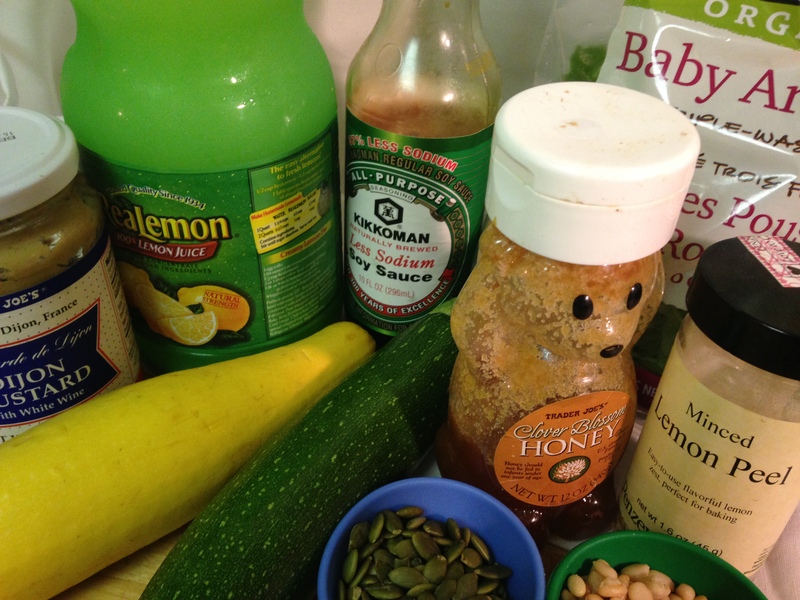 Add zucchini and squash, sorrel, and pumpkin seeds and toss to combine. Serve salad topped with Parmesan, macadamia nuts, and more pepper. Another great recipe. 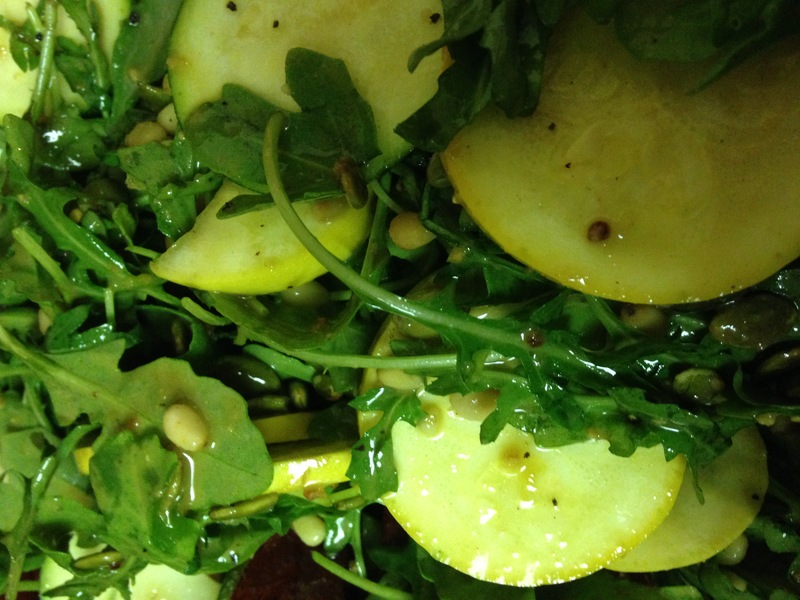 Lots of flavor, the pine nuts definitely delivered and the arugula delivered a punch, too. Bring on salad! This entry was posted in salad and tagged bon appetit, no-cook, Salad, squash, vegetarian, whole foods. Bookmark the permalink.